The Pasadena Buddhist Temple belongs to the Jodo Shinshu tradition of Buddhism. Our national organization is the Buddhist Churches of America, headquartered in San Francisco, California. Our temple was established in 1948, and incorporated in 1956. The temple and classrooms were completed in 1958. The annex (Sakai Hall), which is used by the PJAA Bruins organization to conduct basketball practices, was constructed in 1962. We celebrated our 50th anniversary in 2008. We welcome all to come and learn about the Buddha Dharma. Rev. Gibbs has been our resident minister since January 1, 2014. We are grateful for the presence of Reverend Tetsuo Unno, who has been with us for over 40-years. He will conduct service the second Sunday of each month. Family services are held each Sunday. Service begins at 10:00 am and is followed by a separate English speaking Discussion Group. Reverend Tetsuo Unno conducts service on the 2nd Sunday of each month. Dharma School meets on the 2nd and 4th Sundays of the month following Sunday Service. Sangha Teens and Jr. YBA meet monthly. The Temple is located at 1993 Glen Avenue, Pasadena, CA 91103. Beef Sukiyaki, steamed white rice, two side dishes (Japanese pickles and vegetables). Dine-In customers will also receive soup and appetizer. If you would like to attend, please let Rev. Gibbs or Dona Mitoma (Religious Chair) know by April 28th. ​"A Priest, A Yogi and A Buddhist..."
A Japanese Language Class taught by our own Mitsuko Hays will be offered this fall. Classes will meet on Thursday evenings from 7:00 PM-8:00 PM. Course is 8-weeks. Classes begin on Thursday, March 21. Payment will be collected at each class you attend, $10/check made out to PBT (Mitsuko is donating all the fees to the temple). People at the intermediate or advanced level will have a chance to explore the language and any questions about the Japanese language will be discussed in the class. To register or for questions, please use the form below. Hanamatsuri is the celebration service commemorating the birth of Siddhartha Gautama, the historical Buddha, in 566 BCE in Lumbini Garden. 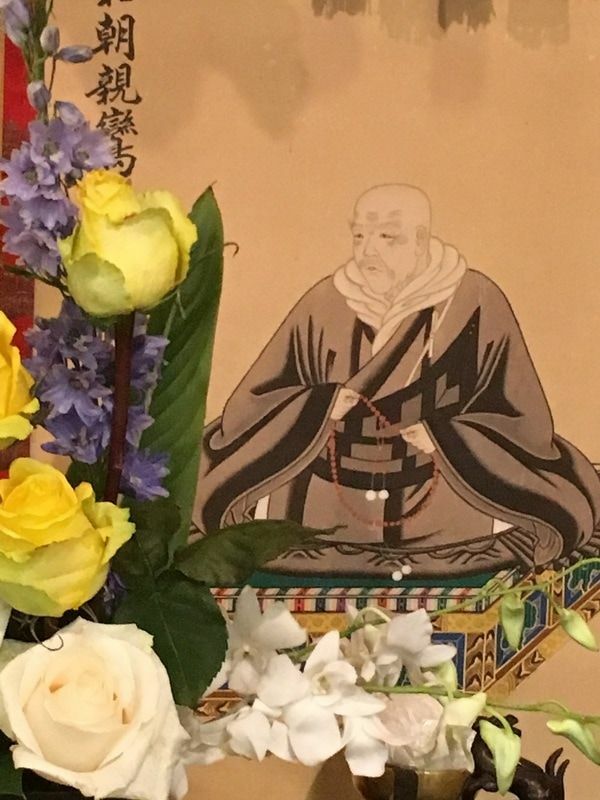 For this joyous occasion, the Hanamido will be decorated by the Temple children with flowers and a statue of the baby Buddha will be placed inside. Attendees will pour sweet tea over the shoulder of the statue instead of offering incense. ​The BWA will prepare light refreshments to be served after the service. The service will be held Sunday, April 14 at 10:00 am. All are welcome to attend. Pasadena Buddhist Temple. 1993 Glen Avenue, Pasadena, CA 91103.